Portable, versatile, and so durable that it carries a lifetime guarantee. 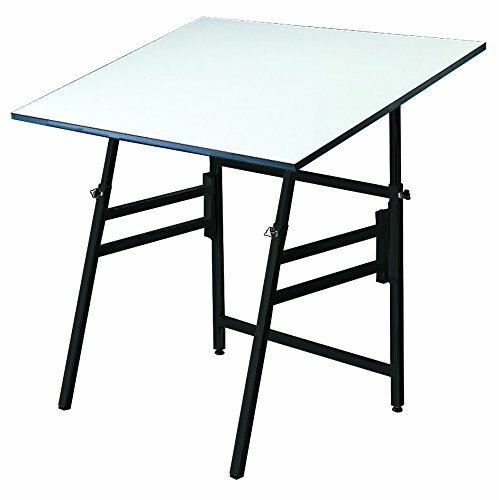 Features warp-free white Melamine tabletop with angle adjustment from horizontal (0) to 45. Height adjusts from 29 inches to 45 inches in the horizontal position. Folds quickly and easily to 4 inches width for portability. Base is 1 inch square powder coated steel tubing with non-skid self-leveling feet. 50 lbs. Black base, white top.